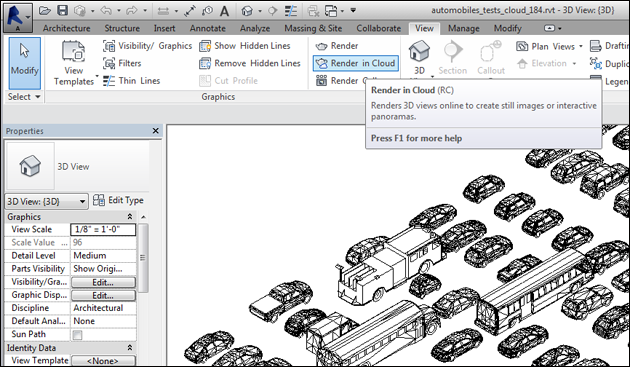 Drag & Drop support for RPC Content into Autodesk Revit 2013 & 2014, Autodesk 3ds Max, Autodesk 3ds Max Design and Autodesk AutoCAD Architecture. Management tools for RPC Plug-ins. Organization tools for local and global RPC Content. 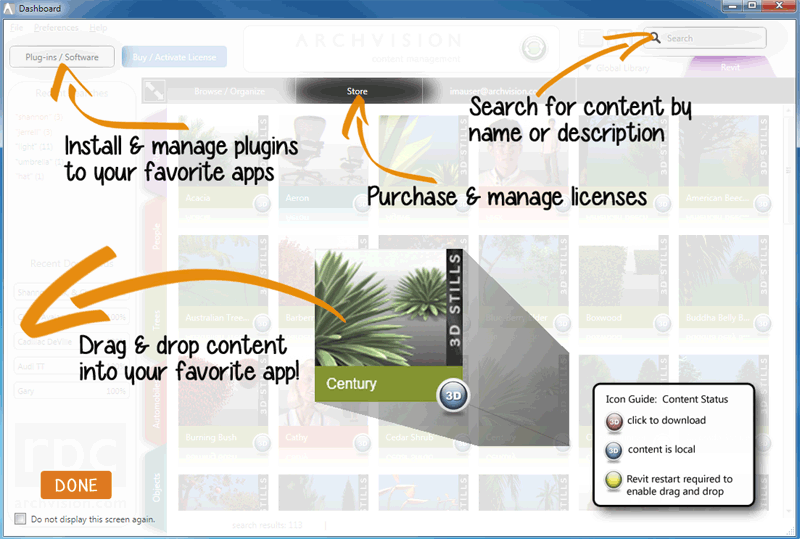 How do you get ArchVision Dashboard on your desktop? Users will receive an update notification or you may opt to download the installer here. ArchVision Software License and All Access License holders definitely need it! There are a few users out there who are still using legacy versions of 3d software applications who should keep their existing ACM to allow support for older plug-ins. Not sure what to do? 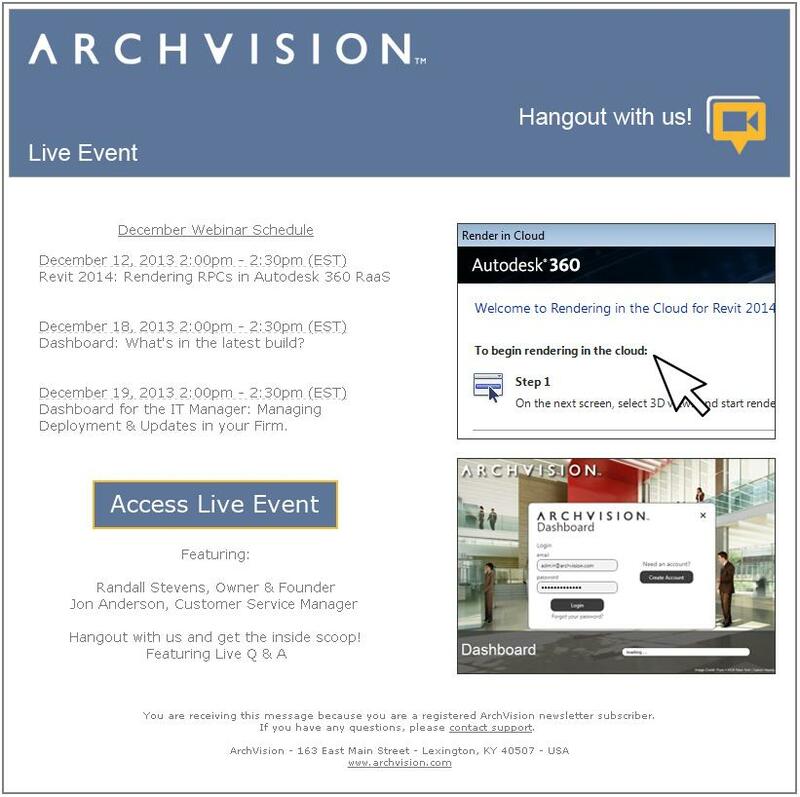 Please contact support@archvision.com. Special thanks to our beta testers who worked with our team to get the kinks worked out earlier this year. 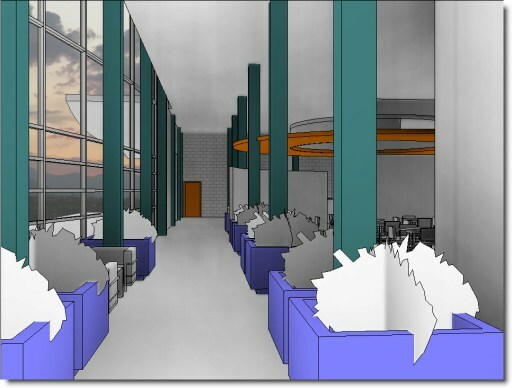 Because of their commitment to improving the ArchVision experience, this version of ArchVision Dashboard lays the ground work to enable us to develop several new features, including cloud rendering support, content creation and new admin tools. If you have any issues that come up during the install process, please contact us so we can help you quickly resolve.